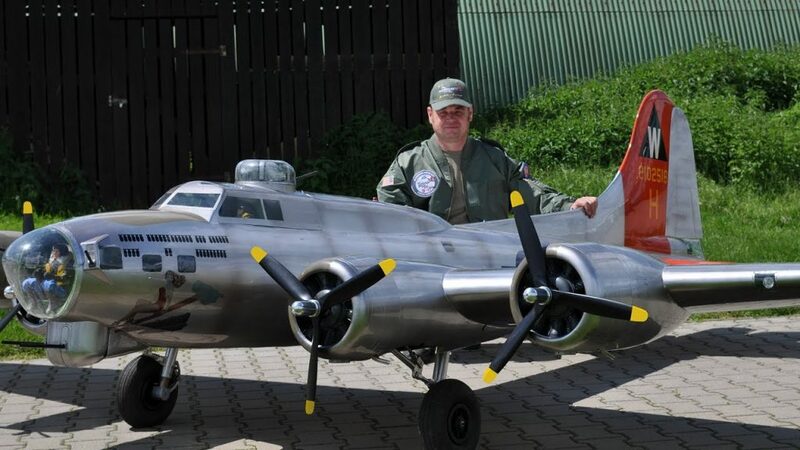 When it comes to WW II bombers, the B-17 Flying Fortress is the recognized icon for all heavy bombers This video shows off the giant scale RC “Aluminum Overcast” B-17, piloted by Peter Pfeffer “Peda” Maßstab. 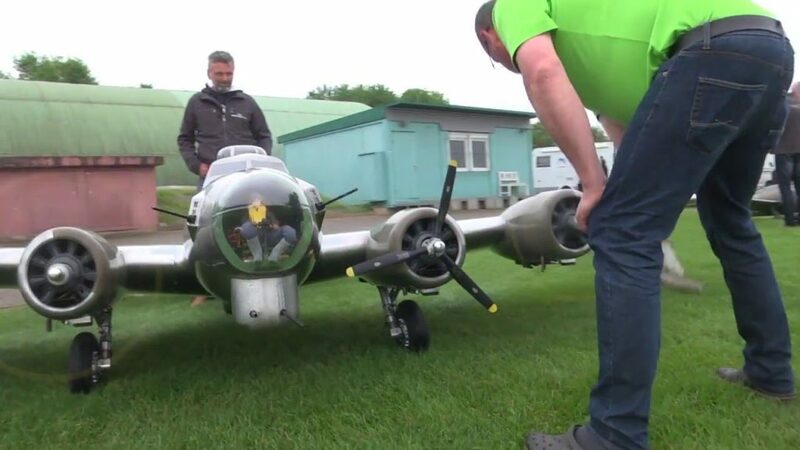 The 1/5.6-scale Flying Fortress has a 19 foot wingspan, is 14 feet long and took four years to build. Over 41 inches tall at the top of the vertical fin, the impressive bomber is built using traditional balsa and plywood construction techniques, has scale retractable landing gear and flaps and weighs in at 187 pounds. Powered by four 42cc gas engines, the radio gear is from Weatronic. Video courtesy of RC Scale Aircraft. That was great. The plane looked like a full size bomber taking off and flying. It was smooth. I loved it. Very nice plane. It looks like that right inboard engine needs a little tuning; it sounded quite rough on start-up, and then conked out during the flight. Nice landing on 3/4 assymetric thrust though. Put some radial engines in it, Still a VERY cool build! That has to be a labor of love! Real nice plane. That right inboard engine might need some tuning; it sounded quite rough during start-up, and then conked out during the flight. Nice landing on 3/4 assymetric power.